Since 2003, Polar View and its predecessor, Northern View, have been providing Earth observation services to a wide variety of end users all over the planet. These services include everything from ice charts to help ships navigate in polar waters to monitoring melting snow and glaciers to improve meltwater runoff prediction for hydrological services. Supported under the GMES programme by the European Space Agency and the European Commission, along with the participation of the Canadian Space Agency, Polar View is a conglomerate of various companies, government agencies and research institutes across Europe and Canada. The conglomerate is in the process of becoming an independent, self-sustaining enterprise providing a "one-stop-shop" for information about the cryosphere and the Polar Regions. How did the Polar View project get started? 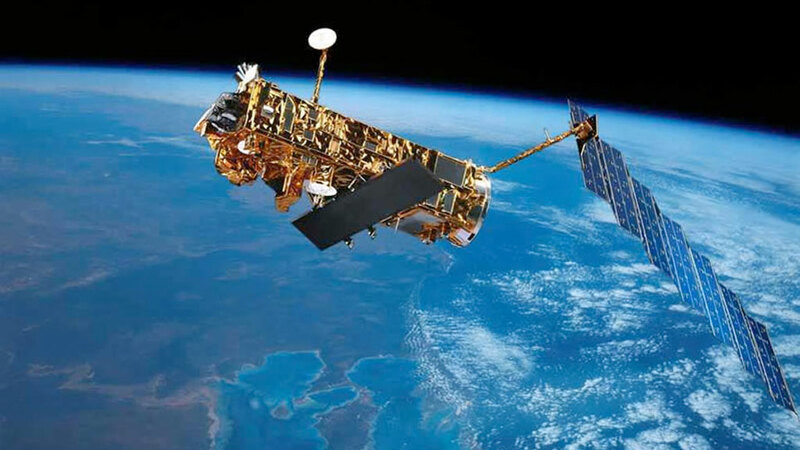 Northern View, the predecessor of Polar View, started back in 2003 as a proposal submitted in response to a call issued by the European Space Agency under a new program at the time called GMES (Global Monitoring for Environment and Security). The purpose of the program was to provide Earth-observation-based services to users for improved environmental monitoring and security-related monitoring. The program was based on the philosophy of providing "real services for real users", meaning that everything we do must be driven by user needs, accepted by users, and involve users when providing the services. In 2003 there were a variety of topics from water resource use to monitoring urban growth. But there were two initiatives that had a northern focus on ice and snow and other northern issues: Northern View and ICEMON. Both of these successful initiatives merged in 2005 to become Polar View. Currently our services focus on monitoring sea ice, icebergs, glacier melt, snow cover and snow melt, river ice and lake ice. How has Polar View evolved since then? We've become bigger. At the beginning the Polar View network consisted of 20-30 organizations. Today we have more than 80 organizations in the network, with the biggest part of them being end-users. The rest are service providers, supporting agencies and consulting organizations. We've also been turning out increasingly better products of higher quality with greater efficiency. Today we're producing more than 4000 products on an annual basis across our entire suite of service lines using 2500 to 3000 satellite images taken over the course of a year. Also, overall the use of our services has drastically increased. Just to give you an example, the number of requests for information on Baltic Sea ice conditions from the Finnish Meteorological Institute (FMI), a Polar View member organization, increased tenfold between 2006 and 2009 during the January to May sea ice season. And our snow services have expanded from covering only part of Northern Europe and a limited area in the Alps to covering most of the Alps and all of Northern Europe and Asia. During the GSE extension phase, we plan to make the snow services more consolidated and coherent, and we're thinking about establishing common services for several different coverage areas. Can you pinpoint any key successes you've had along the way? I think the biggest success we've had is the fact that we continuously meet and in some cases exceed user requirements. From the very beginning Polar View has embraced the idea of being a needs-centred initiative, so our users are very actively involved and they offer regular feedback, which ensures that our services will improve over time and better meet the needs of our end users. And if the needs of a particular user change over time, we adapt to the user's changing needs. Has Polar View provided any groundbreaking new services? For one thing, Polar View has been able to put in place and run a successful sea ice monitoring operation in the Antarctic. Before we came along, there were only a few organizations that would offer sea ice monitoring services in the Antarctic, but the images weren't high resolution and they weren't delivered in real-time. Only since Polar View was established has there been a concerted effort to provide detailed, high-resolution ice charting in the Antarctic. And the same could be said for the Baltic Sea region. Before Polar View there was no publicly available sea ice forecasts for the Baltic Sea. Since then we've made it possible to have both short-term sea ice charts for immediate use and long-term sea ice forecasts for strategic planning. We've also been at the forefront of providing operational services for monitoring river and lake ice in Northern regions. The idea to do monitoring of this nature had been around for some time before Polar View came along, but I think it's the impetus of Polar View that has brought these kinds of services into an operational setting. River ice monitoring services have existed since 2003, and the lake ice monitoring service came along a little bit later. Both have done quite well so far. And Polar View has functioned as a catalyst to bring various user groups together in order to meet new potential end users and devise new services. For example Polar View helped various snow services establish a new cooperation forum called the International Snow Services Working Group (SSWG). And bringing a number of stakeholders together led to the establishment of the highly successful. Icebergfinder.com service, which helps both tourists and tour boat operators locate icebergs off the coast of Newfoundland and Labrador. Have you been successful in raising the profile of Earth observation services among key policy makers and helping them understand the importance of the kinds of services Polar View provides? This has been a goal from the very beginning. However since we focused so much on delivering our services to our users in the early years, this is not something we were able to achieve right away. But I'm happy to say that in the last couple of years there has been clear evidence that we've been making an impression at high levels, notably within the European Commission, with whom we have somewhat regular dialogue. We've also been able to use the Polar View network to our advantage, since it includes most of the major stakeholders concerned with operational monitoring in areas with snow and ice around the world. Polar View has initiated dialogue with a number of key stakeholders and we're continuing that dialogue. It's mostly through our users that policy-relevant decision stakeholders have learned about Polar View and the successes and impact that we've had. Through our networks Polar View has been able to attend meetings and be present at workshops where the audience very much appreciated Polar View's contributions, which has given us a good reputation and raised our profile. For example Polar View has been present at the UNFCC meetings such as those in Poznań, Poland and Bonn, Germany. We've also initiated discussions with the working groups of the Arctic Council and the Arctic Council Secretariat, which recently opened in Tromsø, not to mention two discussions we've had with the GMES Bureau in Brussels. Work with stakeholders is something that can never really be finished. Yet it's starting to bear some fruit now and this dialogue will continue to be an integral part of the overall Polar View strategy. One of Polar View's main objectives has been to become self-sustaining. How far along have you come in reaching this objective? We've identified a whole suite of scenarios that can lead to Polar View's services being self-sustainable. We're working towards scenarios we hope over the next two or three years will be in place so that we'll no longer have to count on ESA funding to sustain Polar View's services. One of these scenarios is that end users eventually pay for the Polar View services they receive, either through a mechanism of them contracting out specific activities, or by creating those activities in-house. But other scenarios exist as well, such as the integration of a Polar View service into a national programme. This is happening in the case of many of our sea ice monitoring services, where a third party becomes responsible for the financing of a particular service. Some services will become a part of the GMES Marine Core Services Project, "My Ocean", for example. We operate using a bunch of these different scenarios, and different services may have more than one scenario that applies to them. In terms of the end users paying for a service, that's probably the smallest number of users - maybe about ten or so - and to date we have financial commitments from half of them. But for the remaining users, some of them support Polar View by undertaking dedicated field campaigns to get the word out about the benefits of our services. The value of these campaigns often exceeds the cost of any particular service we provide for them. We regularly review the state of affairs as far as sustainability is concerned and continuously revise the potential scenarios we're looking at. We have targets that may move a little bit here and there, but overall I think our sustainability targets are realistic. Thomas Puestow is Senior Manager for Earth Observation Services at C-CORE in St. John's, Newfoundland, and Project Manager of the international Polar View consotium.